Understand the impact of your product by pre-testing live on eCommerce sites. 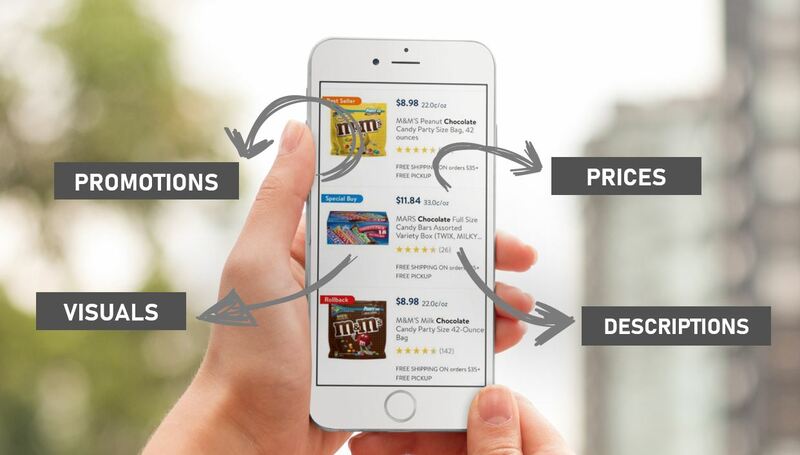 Inject pack images into retailers sites & see how consumers interact with your product. How do new products perform in a competitive environment? Which pack images trigger shoppers to interact? What impact do prices and promotions have on conversion? How do reviews influence product choice?